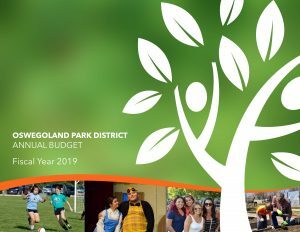 Oswegoland Park District staff gives careful consideration to providing the best services, programs and facilities at the lowest possible cost to tax payers. We welcome your review our recent financial documents. Annual audit conducted by Sikich LLP. View the Notice of Availability of Audit Report. 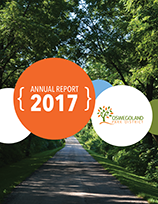 The Oswegoland Park District values its employees and the contribution they make to the community, and understands the importance of retaining quality employees in meeting the recreational needs of the community. As required by PA-97-0609 a list of employees expected to receive compensation greater than $150,000 is available six days prior to approval of its annual budget. Within 6 business days after approving the annual budget, the Park District is required to post a list of all employees that are expected to receive compensation of greater than $75,000. Compensation includes salary, health insurance, a housing allowance, a vehicle allowance, a clothing allowance, bonuses, loans, vacation days granted, and sick days granted. To view Compensation and Benefits or Annual Leave Allotment documents, email us or stop by Prairie Point Center. For more information, contact Executive Director Rich Zielke. The public is invited to attend Park Board meetings generally held on the third Thursday of the month at South Point. The agenda is posted 48 hours in advance.